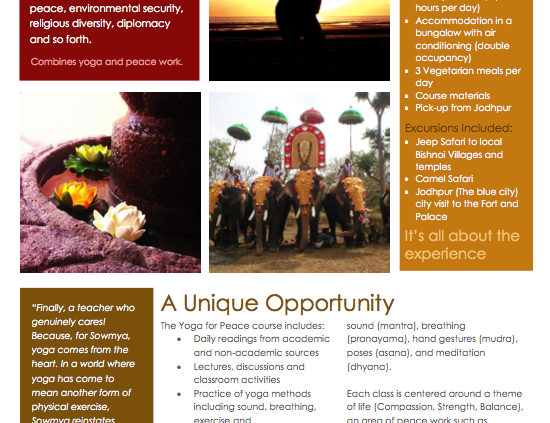 New designed for Go Inspired for the course yoga for peace in india by young bit. “Internet Marketing: An hour a day” and “Don’t make me think” are 2 books that every website designer and developer should read. If you’ve been seeking a practical, day-by-day, do-it-yourself plan for success in your Internet marketing, this is the book for you. 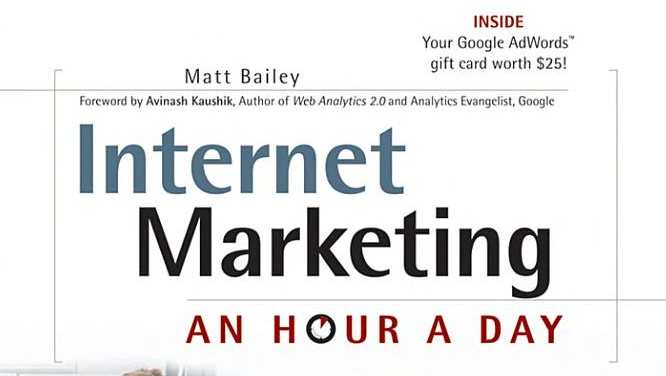 The latest in the very popular Hour a Day series, this book gives you step-by-step instruction and clear action plans for all crucial aspects of successful internet marketing: SEO, website optimization, integration of social media and blogs, and pay-per-click strategies. Above all, it shows you how to use analytics effectively, so you can track and understand your results, then course-correct as you need. Drive targeted traffic to your site, keep them there, and convert them into happy customers with this refreshingly practical, roll-up-your-sleeves guide! Five years and more than 100,000 copies after it was first published, it’s hard to imagine anyone working in Web design who hasn’t read Steve Krug’s “instant classic” on Web usability, but people are still discovering it every day. In this second edition, Steve adds three new chapters in the same style as the original: wry and entertaining, yet loaded with insights and practical advice for novice and veteran alike. Don’t be surprised if it completely changes the way you think about Web design. I just finished reading Internet Marketing: An hour a day and I have really enjoyed, it explains the basics that every webmaster should know about website design if they want their websites to appear on the search engines. I also recommend Don’t make me think which I have read a couple of years ago but still have good information about design. New castellote-sorli.com website is online! In Young Bit we are happy to announce that the new webiste for Oculista Castellón is released! We have also designed the logo and we have done some SEO work. We just love how it looks! https://ventura.media/wp-content/uploads/2012/12/Screen-shot-2012-12-12-at-6.00.09-PM.png 703 1263 manuel manuel2012-12-12 17:10:022012-12-12 17:10:02New castellote-sorli.com website is online! This is a list of 8 websites where you can submit your IOS app for free. In Mac Update you have to register as a developer, once you are registered you can submit as many apps as you want. It may take a while to be publish them. With appGiveAway you can submit your app for free in their page, the only requirement is that you have to give away 20 promo codes of the app in exchange. App Safari is a directory of IOS app. It is free to submit as many apps as you want. You can give them one promo code but is optional. You can submit your app in app dictions by giving away 10 promo codes of your app. No need to register on the website. App dictions have also the option of advertise your app in their website paying different fees. To register you will need a facebook account, to publish an app you need to give at least 5 promo codes and you can submit as many apps as you want. You have to ask them for an app review and give them 1 promo code. Alpha digits is a site where they review apps. You will need one promo code for each app that you submit to them. What’s on iPhone is a app reviews site. You can submit your app sending them a promo code. If you know more pages, please use the comments to let us know! Grails store is now on github, from there you can download it in an easy way. Grails store is an e-commerce web application with made using Grails. I developed last year as a project for a subject in AIT. I hope it can be a good project example for other people. More information about the grails store in the project page. The best budget app for iPhone is called Group Budget, check out our new brand website for Group Budget. With Group Budget you can manage and track all the expenses and incomes of a single person or a group and we say is the easiest app to do it. Download Group Budget right now and start managing your group expenses and incomes in a easy way and without any trouble. https://ventura.media/wp-content/uploads/2011/04/Screen-shot-2012-11-18-at-6.27.58-PM.png 584 1184 manuel manuel2012-11-24 15:23:522012-11-24 15:23:52Best Budget App! Welcome to the new Young Bit page, we have adapted the old young bit page to WordPress so now we have a blog to write interesting articles and news about all the projects we are doing and other cool things. https://ventura.media/wp-content/uploads/2012/11/old-young-bit-page.png 701 1259 manuel manuel2012-11-14 12:35:342012-11-14 12:35:34Hello world!